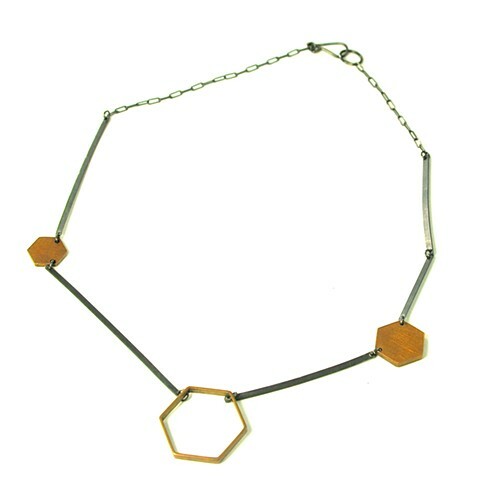 A variation on the LINK necklace, and a relative to the constellation earring, this HEXLINE necklace has oxidized silver flat lines and a combination of solid and hollow brass hexagons of varying sizes. Also available with shiny silver in place of the oxidized. Please specify in your order if this is your preference.